To soak in the warm rays of the sun as summer approaches, what could be better than a brand-new luxury convertible? However, there are several on the market and making a sound choice might a difficult. That’s where The Car Guide helps out with its Best Buys in a wide variety of categories of cars and trucks. 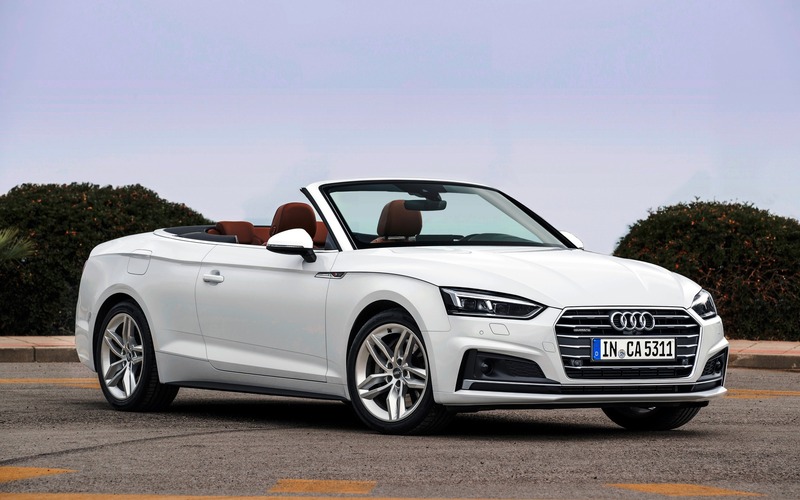 In the luxury convertible segment, the Best Buy title this year goes to the Audi A5 Cabriolet. Its power-folding fabric is well insulated, allowing for a hushed cockpit, and can be lowered or raised even while the car is travelling at a speed of up to 50 km/h. As if the sophisticated exterior design and finely tailored interior weren’t enough, we can even choose one of four top colours. And let’s not forget the surprising amount of rear-seat space for a convertible. Also: 2018 Audi A5 and S5 Cabriolet: Just a Fraction of Audi's Arsenal! Under the hood, we’re not limited to the 248-horsepower, turbo 2.0-litre four-cylinder engine in the A5 Cabriolet. The performance-oriented Audi S5 Cabriolet flaunts a turbocharged, 3.0-litre V6 that develops 349 horsepower, good for a 0-100 km/h sprint of 5.1 seconds. And both variants are equipped with all-wheel drive for all-season driving. The Audi A5 Cabriolet retails from $63,550 before freight and delivery charges, while the S5 Cabriolet is listed from $73,500. In second place, we find the Mercedes-Benz C-Class Cabriolet (MSRP from $57,800) that offers luxury, style, refinement and a choice of many powertrains. As a matter of fact, we can choose between the C 300 4MATIC with 255 horsepower, and the AMG C 43 4MATIC with 385 horsepower or a raging AMG C 63 S with 503 horsepower. Lastly, the Mercedes-Benz E-Class Cabriolet (MSRP from $82,500) takes third place with more interior space and opulence than in the C-Class, and it’s available in two versions producing 362 and 429 horsepower—the latter receiving the EQ Boost hybrid system allowing for 0-100 km/h blasts of 4.6 seconds. First Drives 2018 Audi A5 and S5 Cabriolet: Just a Fraction of Audi's Arsenal!